Antidepressant therapy may vary among the elderly with late-life depression, as it becomes more difficult to treat the older the individual is. The study, published in JAMA Psychiatry, examined longitudinal patterns of changes in depressive symptoms in those who were prescribed antidepressant therapy. The study reports that nearly 50 percent of seniors with late-life depression have difficulties responding to initial antidepressant therapy. For the research, which took place between August 2009 and August 2014, participants received antidepressant therapy, which was upped to 300 mg/day over the course of 12 weeks. They found that late-life depression was difficult to treat, and there were different responses to the antidepressant therapy. With the rise of illness, disability, and other life changes through the aging process, late-life depression affects many seniors. Chronic depression in the elderly can have both mental and physical consequences, which can, in turn, worsen underlying medical conditions. It is reported that late-life depression affects nearly six million seniors over the age of 65, yet only 10 percent ever receive treatment for it. 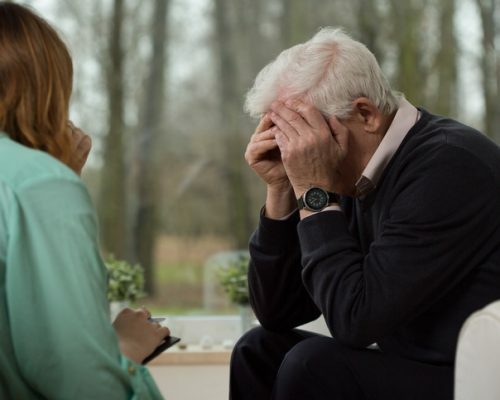 The problem surrounding late-life depression in the elderly is that symptoms are often confused with other diseases and ailments, so misdiagnosis is common. Depression in the elderly differs from depression in younger adults because it increases their risk of heart failure, cardiac disease, and death from other illnesses. Suicide rates are also higher among white males with late-life depression, nearly double when compared to that of the general population. Becoming aware of physical limitations – don’t try to partake in activities that go beyond your limitations as you increase your risk to “fail,” which can contribute to depression. The older you become the greater your risk is to develop late-life depression, but with simple preventative techniques you can continue enjoying a happy, fulfilled life.